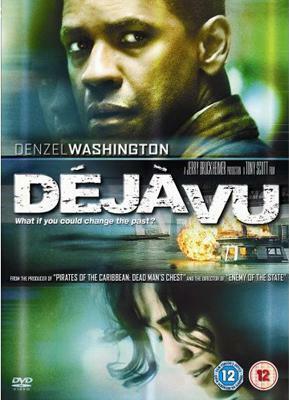 Deja Vu follows the story of an ATF agent with a keen eye for clues. He must use his skills to prevent an explosion which has already happened; happily however the government have created a 'machine' which may help him in this seemingly impossible task. One of the most poignant lines within the film was, "i will see you yesterday" which really should have been the tag line for this film, as it did a really good job to describing the whole idea behind the movie. I personally think that Denzel Washington is an exceptional actor, in this film he does not dissapoint. We really get the feeling that this is a guy who is one step ahead of every body else and also has strong feelings for the hostage victim. My knowledge of the other actors in the film is limited however, I believe the actor that played oerstadt the terrorist was really strong even if he was only involved for the final quarter of the film. Overall then DeJa Vu is a great film that blends together a love story and sci-fi thriller elements; whilst being set in a futuristic but recognisable setting. I did feel that they could have built up Denzel's connection with the hostage victim right from the start, however the performances were strong and there was an completely watertight story which kept you hooked from beginning to end! Go see this film if you haven't already, it is brilliant! I give this film a pop rating 10/10! Thank You for 10,000 Page Views!